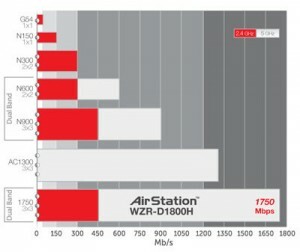 The speed is rated to be 3x faster than a normal 802.11n connection. That’s a HUGE increase in speed. While it won’t benefit most people who just do normal web page surfing, internet chatting, and gaming, it WILL if you do a lot of file sharing (perhaps via file servers or shared network folders), streaming from PC to PC/device, and so forth. As you may have guessed, the new wireless technology is backwards compatible with older standards, such as IEEE 802.11b, 802.11g, and 802.11n (IEEE 802.11b/g/n). Or should I say IEEE 802.11b/g/n/ac now! Check out these benchmarks on the side to see the actual speed increase. Frequency bands are normal still: 2.4GHz/5GHz (simultaneous dual bands) and the actual wireless data rates are up to 1300Mbps + 450Mbps. To get the most out of this technology, you DO need a compatible wireless card / USB that supports 802.11ac to get gigabit speeds, otherwise your transfers will be as fast as the current standard you’re using (talk about a bottleneck)! 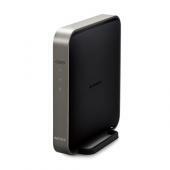 Right now, there are two primary companies to get a 11AC device from: NETGEAR and Buffalo Technology. However, you can expect that list to grow exponentially as time goes by. LinkSys/D-Link, Rosewill, Western Digital (WD), EnGenius, and many others will no doubt follow suit. After all, this will be the latest technology that will even come bundled with new laptops / notebooks and desktop PC’s. I expect Apple to even implement them into their Mac Book Pro lines eventually. Both are good and have firmware updates being released that keep boosting their capabilities and solving any issues experienced. Amazon appears to have the lowest prices on these bad boys as of right now. 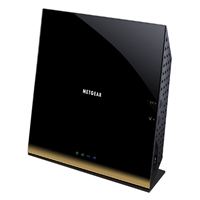 Also the best return policy for those who find they’re happy with wireless N.
Depending on the router you buy, you’ll also have nifty features to play with such as DLNA Media Server capabilities, Guest Network Access, and a whole lot more. I like the guest network access personally. This entry was posted	on Sunday, June 17th, 2012 at 1:41 PM	and is filed under Reviews. You can follow any responses to this entry through the RSS 2.0 feed. You can leave a response, or trackback from your own site.